Over the past couple of months I have had the pleasure to work on a very unique project. For those who don’t know, I am not the only designer or artist in my family. 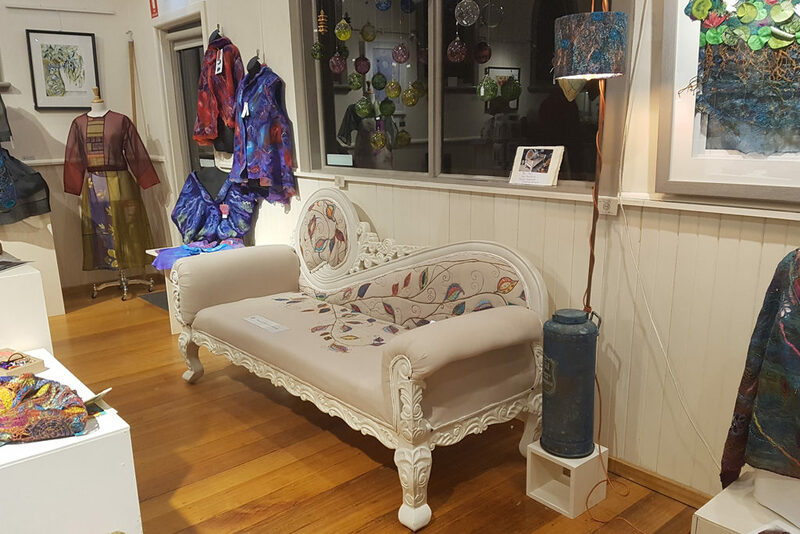 My mother, Michelle Mischkulnig, has been a professional artist longer than I have been on this planet, and it has been a unique privilege to be able to work collaboratively with her on two pieces, which are for sale and being exhibited until the end of May at Stonehouse Gallery in Warrandyte Victoria. As with everything we produce, the lamp and day-bed that we have created started out with us as waste. The lamp started out as a dusty, well and truly expired fire extinguisher. 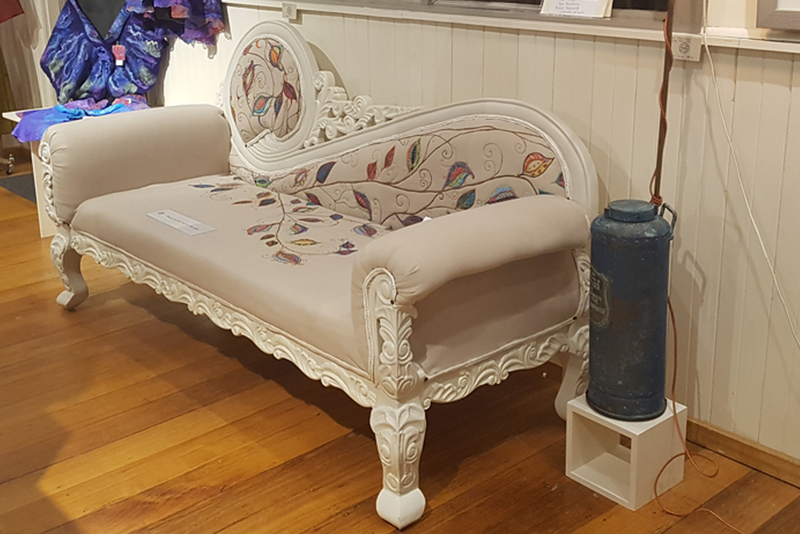 The daybed came to us as a no-longer-loved piece with dark stained wood and orange velvet upholstery. 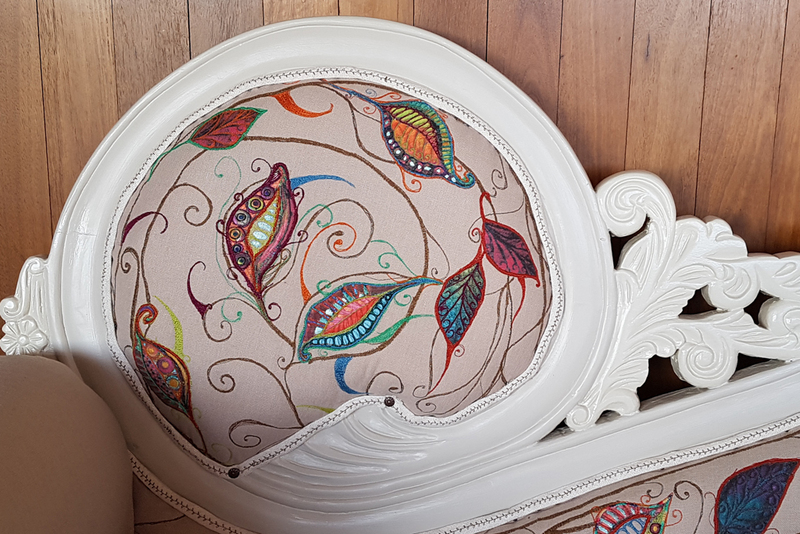 Bringing new life to the daybed was a labour of love. 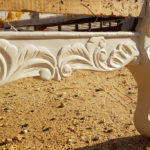 Old and worn varnish was carefully removed, along with the outdated and worn upholstery. 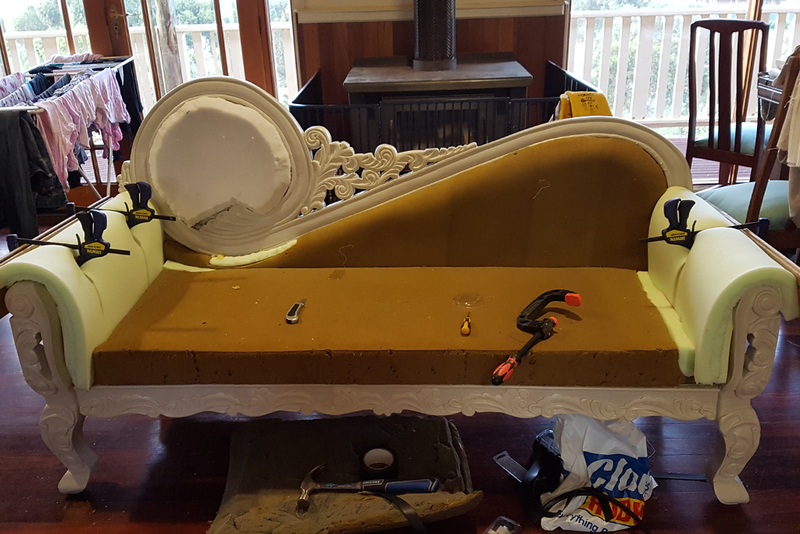 The timber frame was carefully repaired and painted in a subtle two-tone to highlight the beautiful hand carving throughout the design. In the meantime mum was busy at her sewing machine working on truly bespoke linen for upholstering. 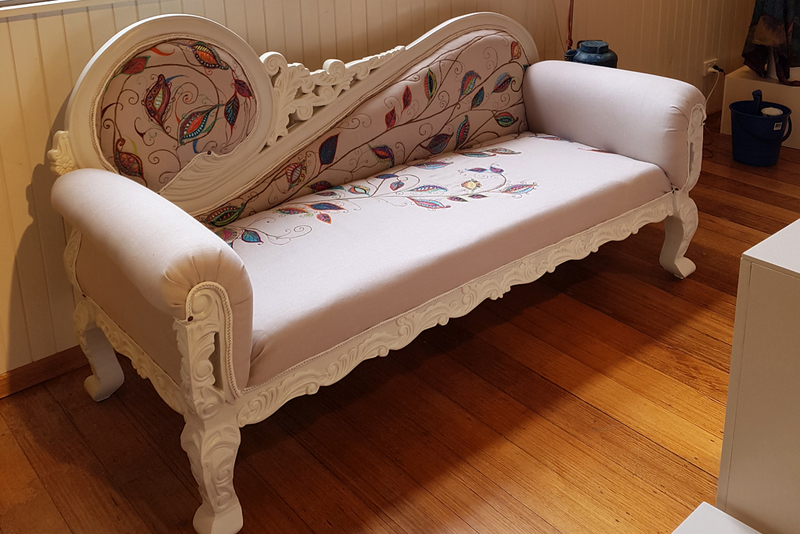 Trimmed using traditional methods, with its one-of-a-kind upholstery, this daybed is now ready to serve another generation, and I am proud to have been able to make it happen.